What’s the common factor between a romantic vacation, a long business day, or a fancy bachelorette party? A luxurious spa outing! The spa has long gone from being a “rich-only” hangout to a common place for relaxation. Spas are located throughout the world, and can be found in most hotels. 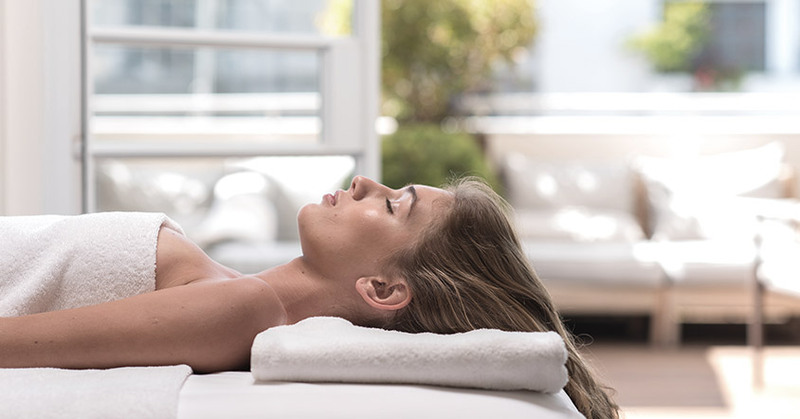 Spa in Tel Aviv typically allow the hotel guests as well as outside guests to enjoy a well-equipped and pampering experience. In the heart of Tel Aviv, in the White City neighborhood, you will find the exclusive The Norman spa. With a relaxing atmosphere, stunning architecture and beautiful décor, you will feel relaxed the moment you step in. Each guest may choose from the various treatments offered at the spa, and create a balanced and enjoyable day. Due to the excellent location and ever-increasing popularity of The Norman spa in Tel Aviv, it is recommended to book an appointment prior to arrival, to ensure maximal availability and enjoyment. Upon entering the hotel, you will walk through the exquisitely decorated corridors, and see paintings from prominent internationally known Israeli artists. Feel the tranquility, and enter the spa lighthearted. At the entrance, you will be greeted by our staff, and will be handed a form inquiring about your medical condition to ensure optimal treatment options. Once you’ve filled out the forms, you will receive a comfortable robe and a pair of slippers. When entering the spa please turn of cellphones, to maintain the relaxing and quiet atmosphere, and allow yourself and the other guests to take a break from the fast-paced life. The Norman spa in Tel Aviv offers various massages and personalized treatments for different occasions. You can combine a massage with essential oils for an invigorating yet relaxing experience, or choose acupuncture, cupping or a foot massage to end off a day of travels and hikes. Want to surprise your loved ones? Pamper them with one of our marvelous spa packages, and give them an experience they will never forget. For couples, you can book 50-minute massages and drinks at the Library Bar. For very close friends or relatives, you might want to choose the elaborate package featuring 50-minute massages, a buffet breakfast at the Alena restaurant and two glasses of kava. Is there a special someone you want to surprise? You can book a single massage, massage & breakfast at Alena, voucher for a Pilates or yoga class, or five personal training sessions in various fields. The Norman spa provides more than just a spa experience. We provide an envelope of tranquility, relaxation, professionalism and discretion, and are always eager to meet our new guests.